[TUfP] We're still here! How about free food?! Official TUP article. Please help us by voting and subbing! It’s been a long time since we did an article based on The Unity Food programme and with the admins changing the rules of food recently this is a better time than any to remind people about our free food scheme. 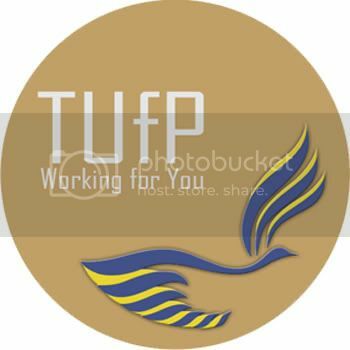 We’ve been running TUfP for a few months now and it can be viewed as a success by many. It has helped a lot of new citizens keep their wellness up and effectively stay alive in the game long enough to learn more about it. We know that many of you are having difficulties right now with paying for food as you’ve had to spend money on Weapons/Moving tickets because Canada invaded and we set out to help the younger citizens by giving you free food! We also have an exception to all members of the military under 90 wellness. As stated above you need to be working in a Quality 1 company. To clarify, this will have one star under its name on the Job Market screen and additionally contain the minimum amount of Customisation Points for the company type, for Harvesters this will be any company as they have no Customisation Points. If you are unsure of your current level and citizenship these can be viewed on your profile page. Free food, what could be better \o/, Apply today! Awesome work. Gotta love free food!